Sam is married to Betsy Stalcup and they have lived in Reston, VA since 1991, where they raised their three children. Sam has worked for Northrop Grumman for 20 years and then at the U.S. Department of State in Washington, DC. He is now retired. 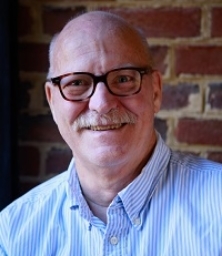 Raised in McLean, and except for a five year “vacation” in the San Francisco Bay area, Sam has lived in Northern Virginia his whole life and except for that “vacation” has attended Church of the Apostles Anglican since 1978. He loves teaching Life Model classes. He has been a Theophostic Prayer minister for many years and has lead a men's Theophostic Prayer ministry group.